Why get a tour guide through Bosnia and Herzegovina? First, it will save you time planning and you will see some of the best things with the extra benefit of a local experience. Sasa Vidic was a Bosnian Soldier that fought in the war in the 1990's, he knows his country very well and will give you a tour and describe the history so you and your group will actually learn about the history of the country. He gave my family and I such a good couple of days that I built this website for him and I am actively trying to find more clients for him. Another good reason to get a tour guide is that some people might view Bosnia and Herzegovina as a dangerous country for American's, which isn't true, but it will be a safer trip if you have a local showing you around. There are many other reason's, but another good reason is he will save you money, I didn't realize this when I booked my trip, but many of the attractions in Bosnia are 1/2 price for Bosnian residents. If you have a group of 5-7 people, that could add up to a savings of 15-25 Euro depending upon what activities you do for the day. So, after the savings, the price to have a tour guide is very low. If you are planning a trip to Bosnia, I would whole heartily recommend Sasa Vidic and you can contact him on facebook. Write him a private message and let him know you found him on this website and he will give you a fantastic deal and will help plan your trip. Why travel to Bosnia and Herzegovina? Bosnia is one of the most interesting and beautiful countries we have visited. The prices are low and your lifestyle while in Bosnia will be fantastic for the same price as living on a budget in Eastern Europe. We ate like royalty while we were in Bosnia for a fraction of the cost of a normal meal in Eastern Europe. Sarajevo has everything you would want in a big town, there is great shopping, food, culture and a vibrant feel to the city. As a tourist, they left some of the buildings bombed out and the stories and history are fascinating. You can walk through the tunnel they used to bring goods to Sarajevo, walk down the Bobsledding track from the 1984 Olympics and explore the small charming towns, with a beautiful country side. There are beautiful lakes, waterfalls, castles, great shopping and delicious food all easy to explore for a great price! 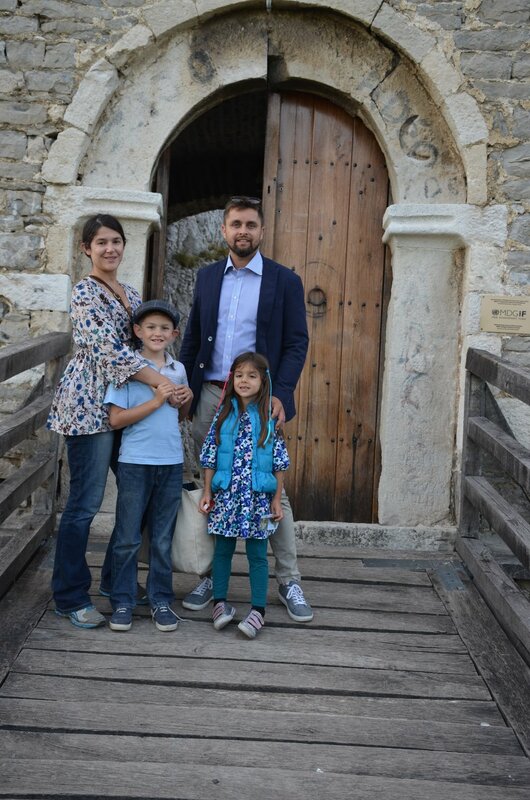 Tour Guide - Sasa Vidic - facebook page - Let him custom tailor a trip for you.